Potgul Vehera or Potgul Viharaya is a recent name given to this monastery. It consists of four terraces, the first covering a larger area. The prominently seen upper two terraces holds the buildings at present. The third level terrace has 9 buildings which are thought to be the kutis for the monks. There are three entrances to the monastery and the main entrance is the one in the Eastern direction.The uppermost terrace has the circular building which earlier had a circular roof. This is also thought to be the 'Mandala Mandira' or the Circular House, built by King Parakramabahu the Great. The King used to listen to the Jataka stories of the Lord Buddha told by a teacher in this acoustically designed circular room, with plastered brick walls. There are four dagebas at the four corners of the upper terrace , of about 18 ft. diameter. 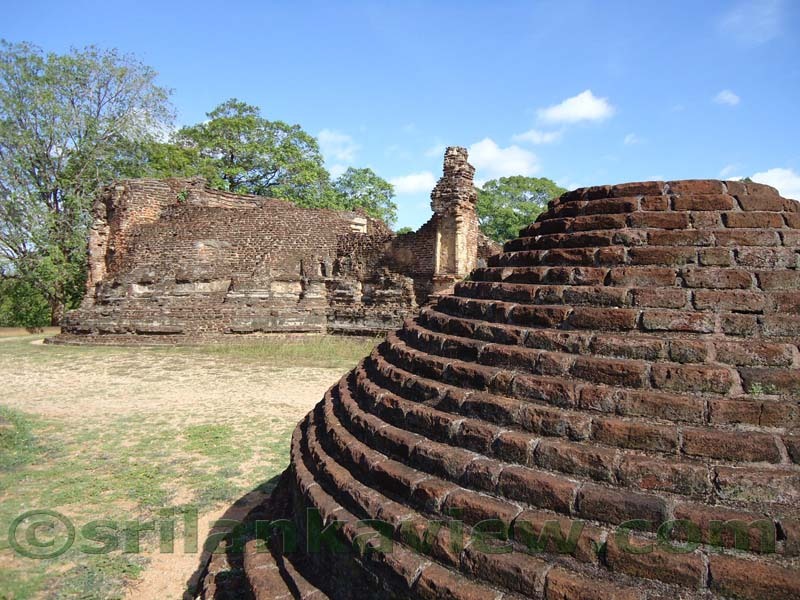 This confirms that these buildings were of a Buddhist monastic complex during King Parakramabahu's reign.